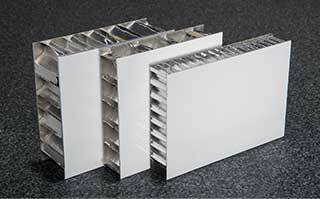 Our aluminum honeycomb sandwich panels are the solution for a wide range of applications requiring flat, light weight, and rigid specifications. 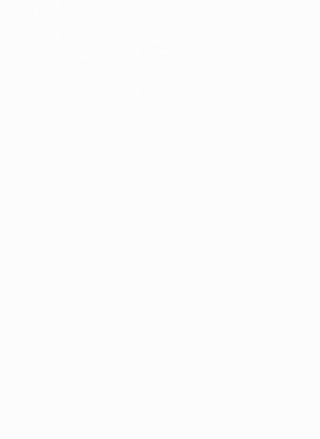 Our aluminum honeycomb panels are made from aluminum honeycomb core sandwiched by aluminum facings all bonded together by a layer of adhesive. Each individual piece of the sandwich panel may be customized for your needs: facing thickness, facing size, honeycomb thickness, and honeycomb cell size. 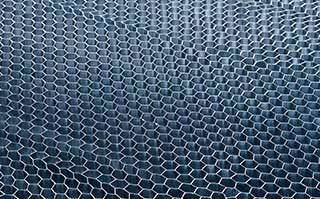 Common uses for aluminum honeycomb panels include: Elevator ceiling panels, architectural applications, interior wall & ceiling panels, wall partitions, and energy absorption/attenuator systems.